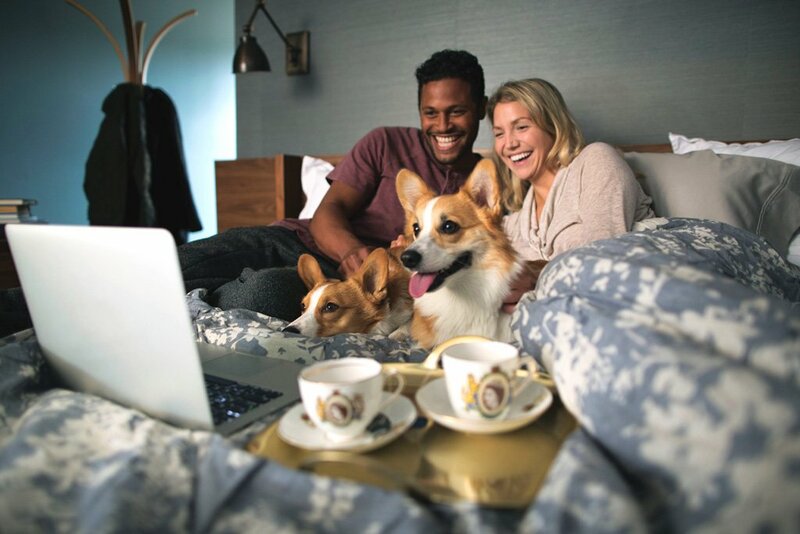 What with cat cafes, dog-friendly beaches, gourmet pet food and designer pet wear and accessories, it perhaps should come as no surprise that our furry and feathery friends are our top binge-watching partners. According to a new survey released by Netflix, 59 per cent of Aussies find pets to be the best binge-watching buddies—perhaps because they don’t hog the remote or criticise our viewing habits! The survey found that one in three turn to their furry friends for comfort during a sad or scary scene, and 25 per cent talk to their pet about the show or movie they’re watching. Nearly half of respondents (49 per cent) report they have to sit elsewhere because their pet takes up too much room. 15 per cent say they have to bribe their pet with treats to stay put. 14 per cent say they sometimes have to turn a show off because their pet doesn’t like it. So, what are the shows everyone is barking, meowing and chirping about? Dog owners are more likely to choose comedies such as Orange is the New Black and Grace and Frankie. Cat owners prefer mystery and crime series such as Riverdale and Jessica Jones, and bird lovers are partial to thrillers such Black Mirror. Apparently the one show that brings all species together is … Stranger Things.